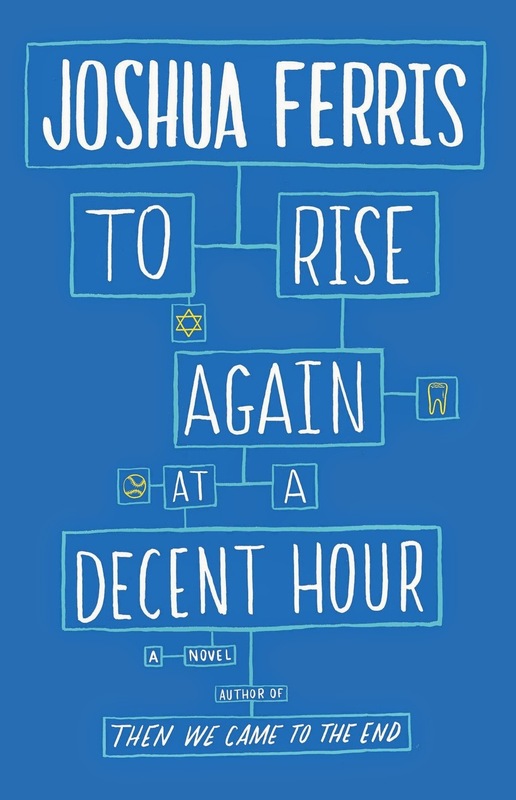 Released last month is a book titled To Rise Again At A Decent Hour. Here's why it should be of interest to you: the protagonist is an atheist. Written by a certain Joshua Ferris - who judging by his Wikipedia page, seems to be some sort of a big-shot and award-winning writer - the book revolves around an atheist dentist whose already messy life was made even messier when someone started impersonating him online. In an interview on NPR, Ferris has the following to say about why he chose an atheist protagonist: "A kind of heaven-on-earth is a religious identity — the ability to believe comes with the reassurance of immortality, of forgiveness, and also, I think, a community of like-minded believers. This guy is so reasonable in a kind of neo-atheism way and the [Richard] Dawkins/[Christopher] Hitchens model: If you think clearly about the world, there's no possible way you could allow for a being greater than the human being. Any divinity whatsoever is off the table. I started with that basic premise and wanted to see where [the dentist] lacks because of that belief. Does that highly reasoned and kind of cutthroat authenticity, the commitment to atheism, what does it do to a person in his life? Does it make him cramped at all? Where does he find community? These were the questions that I began the novel with." As to his own religious identity, Ferris says: "I'm not sure that I'm entirely comfortable with being described as a nonbeliever only because there's this little shadow of a doubt that I keep open. I have a character in the book describe herself as a "nonpracticing atheist," and I think that's how I would describe myself. When push comes to shove, and I'm forced to think reasonably, I affirm again and again that there is no God. But as a rule, as I go through life, I find that can lead to a dogma that is no more welcoming to my way of thinking than the dogma of believers. So I tend to want to keep the door open an inch, which I think sounds to many people like cheating, but to me it's simply a matter of keeping — not my options open — but my mind wide, as wide as possible, and my heart open to new possibilities." It does sound like an interesting read. For more information and other resources about the book, check out Ferris' website. It contains a description for the book, international covers and excerpts (text and audio).